There are few things as heart-flutteringly beautiful as a Victoriana blouse. They stand out and catch your eye, without pushing themselves in your face. They look just as good layered underneath a thick woollen coat or pinafore dress, as they do worn alone. And let's never forget how adorably romantic they are! Going by the feedback on previous looks, it seems we all share the same opinion - timeless pieces are the absolute best. It's because of this, Victoriana blouses have stuck around for so long, and have now become a favourite of mine. How about you? The options are endless when it comes to amassing a collection of Victoriana blouses. However, some key materials to look for are cotton, lace and tulle/chiffon. Some key features to keep an eye out for include high necks, flamboyant collars, ruffled sleeves, lace inserts and other embellishments such as bows, ribbon and embroidery. Imagine you're dressing for a part in a British period drama and you're halfway there! An elegant and effortless look matched with a lovely backdrop. Warm greetings and hope you are well. I love the whole look. Honestly, you are blogging like a true pro. Love this black and white outfit. The details on that blouse are so pretty. You look stunning! You look gorgeous! The victorian blouse suits you well. These photos are beautiful! I just followed you on Insta! You look simply gorgeous!! <3 Love the lace top and the delicate details!! So pretty! They are definitely irresistible romantic and so special. I saw this picture on Instagram and you looked stunning. I think these kind of tops fits you very well . You're so pretty. :) I love your top, it looks so elegant and the background is perfect fr it as well. Clothing like this is the reason I'm actually glad it's Autumn! Such a pretty, delicate look that's easy to pull off too! Great idea to pair it with the hat too! I prefer them in black over white, but I agree, such a classic! You are so right with your statement about Victorian blouses! And you look simply wonderful and perfect in your outfit with this kind of blouse. You inspired me even to wear very soon a similar look, thanks for that! i adore romantic fashion and all these tops have me weak at the knees haha. This is such a beautiful blouse, it is so romantic and pretty! You always have such lovely clothes! 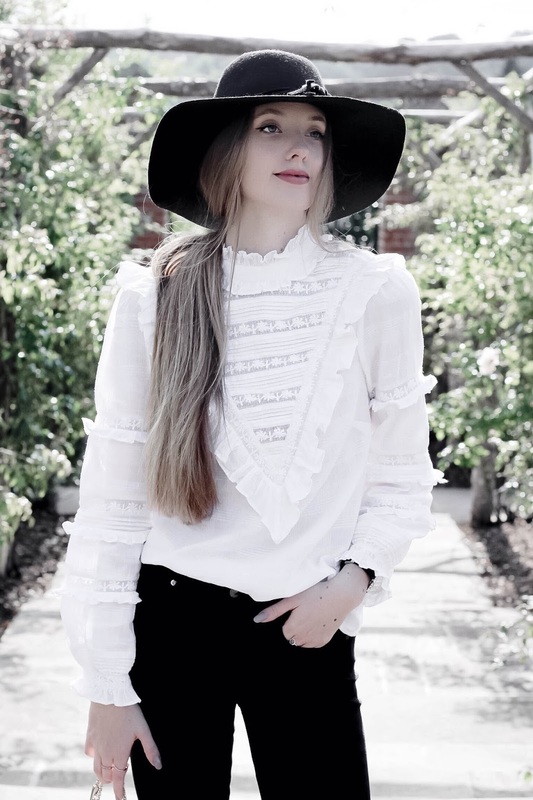 Gabrielle, Victoriana blouses were made for you! You look absolutely amazing in them & this post takes me back to the beautiful Karen Millen pussybow! Love your picks too! Yesss! They're a favorite of mine as well! They're irresistibly romantic, and I always want to look like I'm stepping out of a period drama, no joke. This particular one is gorgeous, and it looks great on you. I hope you had a lovely weekend Gabrielle! Love Victorian blouses, they're romantically chic and they look so lovely on you! I love how perfect this is just paired with simple black leggings! It looks completely put together, but super comfy too. My ideal outfit! And that hat... Love it! That blouse looks like it was made just for you Gabrielle! Just gorgeous! There is just something so romantic and feminine about this style. I like them as well but I have to be careful with my choice in silhouette because anything too voluminous just looks ridiculous on me. i have allllllways loved victoria blouses, so timeless and classic! plus they look killer with black jeans a heels...which is my go-to outfit! OMG its so cute, I love it!!! 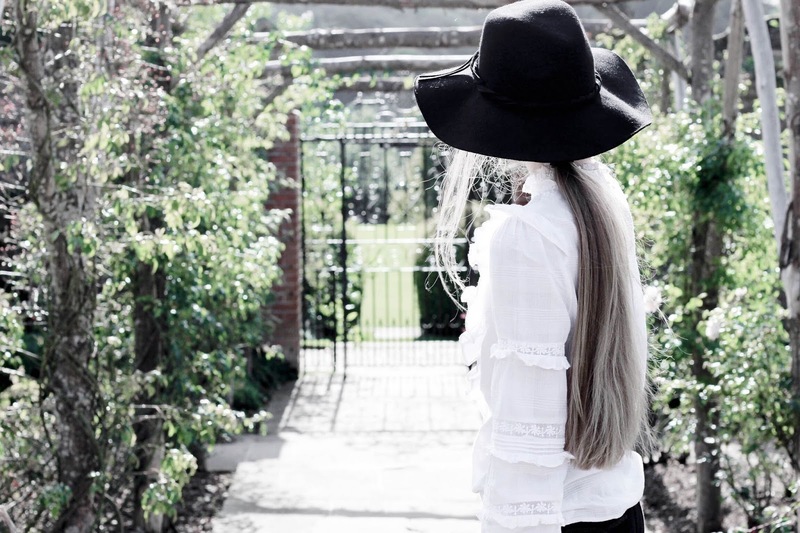 Victoriana blouses look amazing on you! You're inspiring me to give them a try. I really love this one paired with the flared bottoms - just gorgeous! Hope you've had a lovely weekend! We had a quiet one dealing with sick toddlers unfortunately. Thankfully everyone is feeling better! Yes! I saw this on your IG! 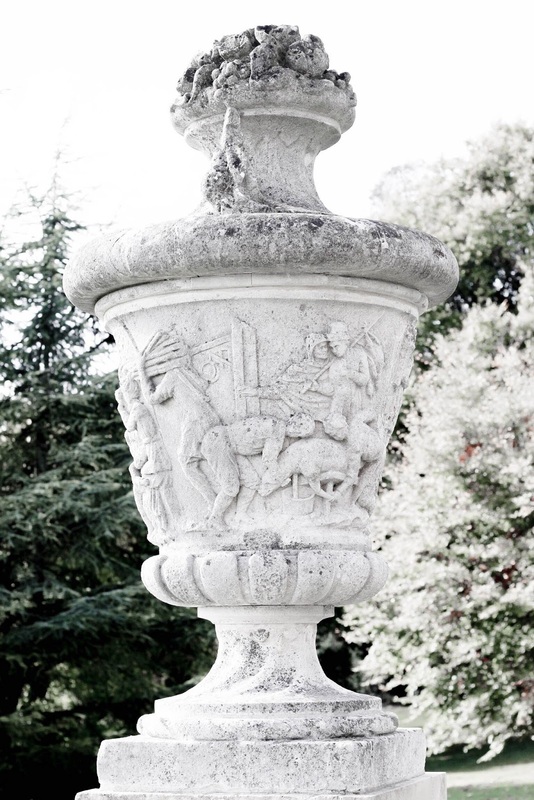 I love Victorian style everything— even the era! To live in that era- the fashion was so beautiful! That top is so cute! I love the lace details. well, as you can imagine, I loooooove victorian blouses! I've just got many of them, but can't resist to buy new ones as I see it! Your is absolutely lovely, and looks really amazing on you since your figure is so delicate and refined, just perfect for it! I've always been a fan of them Gabrielle! They're so intricate and feminine! Love the one you're wearing. You look beautiful. I looove victorian details and this blouse is absolutely stunning! ohhh, i've seen ruffled sleeves before but never the lacy front! can I just say you rock the look with those trousers? I love the ruffled shirts. They look so pretty! your blouse is so gorgeous! I love the lace details! I love Victoriana blouses!! They are extremely feminine and romantic! The one you wore looks so pretty on you! Also loved all your picks! Beautiful look, love that blouse! Your Victorian blouse looks so chic ! Lovely pictures babe! 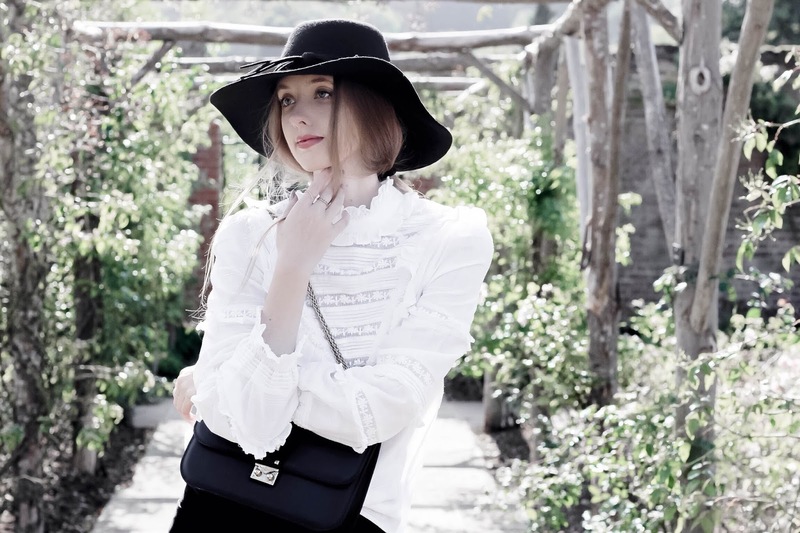 Wow, you look so mesmerising in these shots.. That Victoriana blouse looks stunning, especially against that rustic setting, beautiful as always! Such a great blouse! I love all the ones you linked too. That blouse is beautiful and I love how romantic it is. Not sure if I can pull it off as I am usually more casual but gosh, you look absolutely lovely in it. This blouse is sooo lovely ! Such a perfect one. What a beautiful piece! 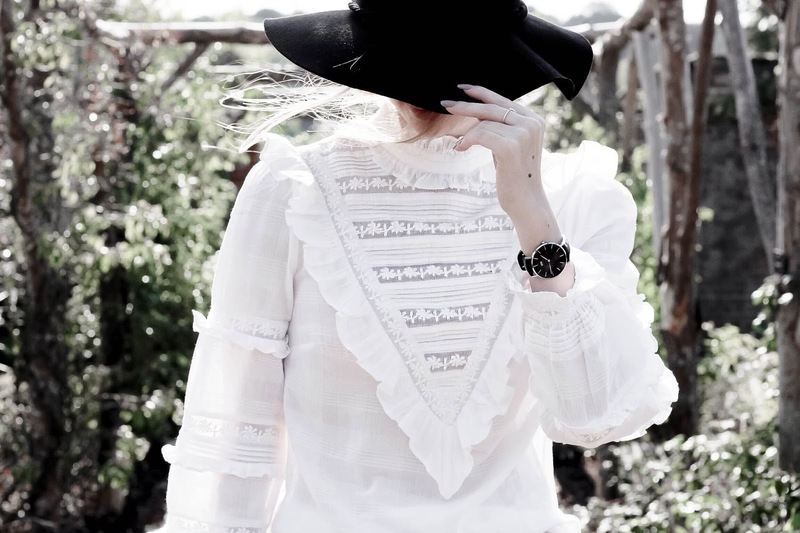 I'm not usually one for frills, but this look is so chic I can't help but love it. Having the rest of the outfit be so modern makes for a good combination. Gorgeous, lady! You're so beautiful dear, this look fits you to a tee. Love Victoriana blouses too, they are feminine and delicate, I wore same kind when I went to Brooklyn Bridge in NY. So glad to see you're promoting this look. You look so beautiful and classy Gabrielle. I love a good romantic blouse for sure. Such a chic and stunning look! Love the elegant lace detailing on this blouse, beautifully classy! I'm obsessed of this shirt! Looks so romantic indeed! 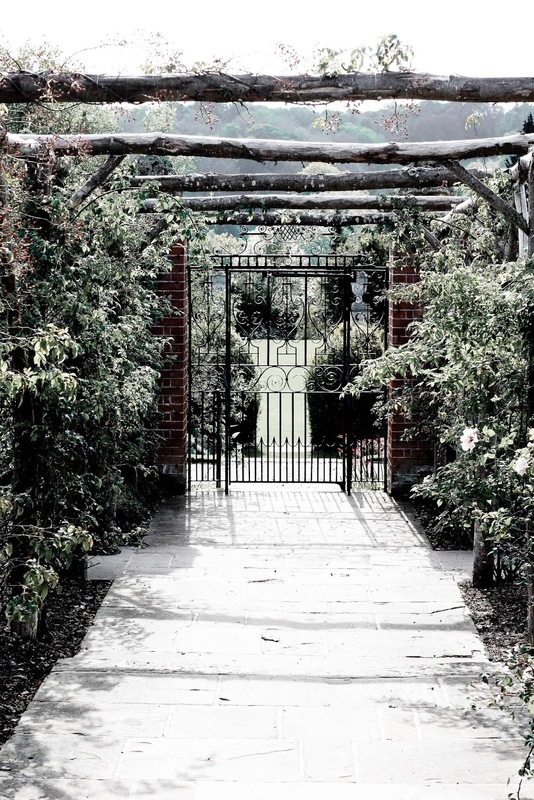 Perfect style and amazing place for shooting! Just adorable! Such a pretty delicate top and I love how you've styled it with the smart trousers! 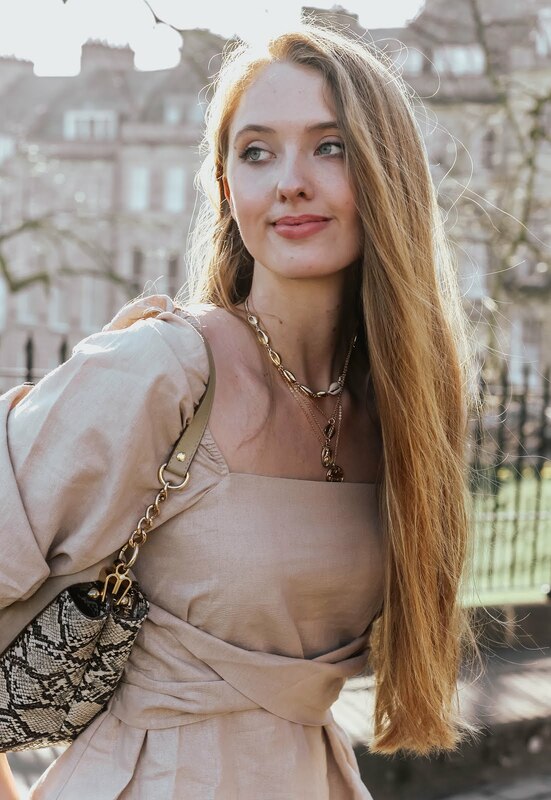 I LOVE Victorian style blouses, though a lot of them don't suit me because I have a big chest, but that's never stopped me from loving them every time I see them. I can get away with them if they're a floatier style so I've got a few in my wardrobe but I'm definitely always looking for the perfect one. You look seriously stunning in your Victorian Blouse, these photographs are utterly beautiful that's for sure. Incredibly classy and oozing with style and sophistication. What a beautiful look teamed with your black trousers and gorgeous hat, you pull them off ever so nicely! These types of blouses are my favourite! You look so gorgeous babe. Dear, you look stunning as always. 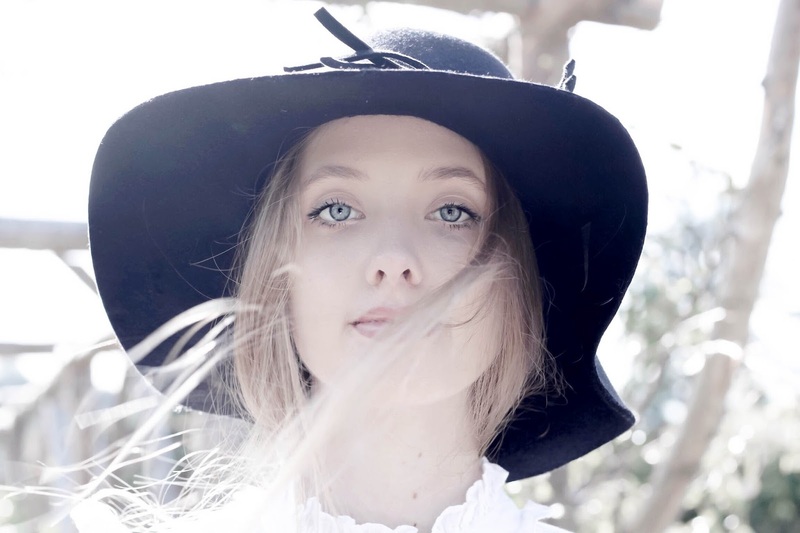 Lovely blouse, and I love how you styled it with that gorgeous floppy hat. You look dreamy!!! Love Monsoon and their amazing Victoriana blouses!! I have the one that came out in Spring, just adore it! 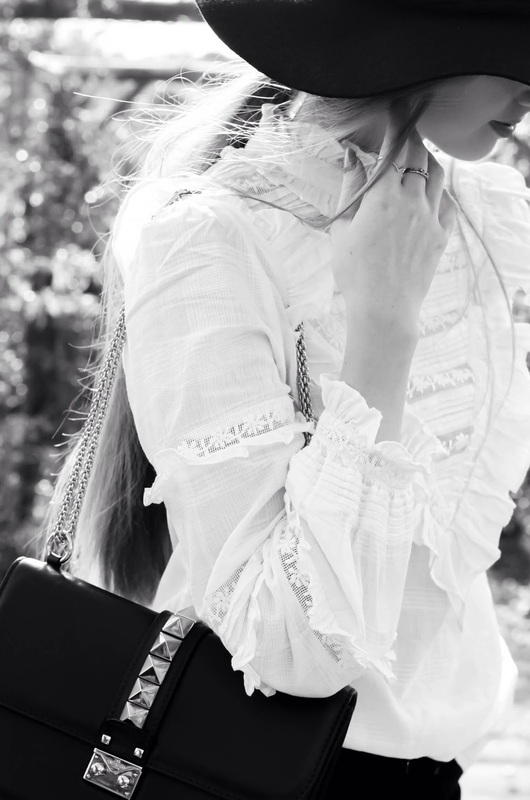 Victoriana blouses are everything - the costume lover in me couldn't be happier that they are back in fashion like we're in the 1900s haha! The Monsoon blouse you're wearing is actually stunning, I need to go and try it on because that triangular patch at the front with the ruffles is absolutely beautiful - the quality seems great too! I love the details on that blouse, it definitely has a romantic touch, so feminine and elefant; a perfect minimalist chic outfit ! I love blouses, so easy to style and they look very sophisticated with minimal effort! Love your top and the hat ;) They are simple yet elegant! This romantic victoriana blouse is so beautiful. Still in love with the ruffle top trend haha.